Whatever the event, public or private, the dynamism and versatility of Bonicelli Catering can serve from 20 to 1000 people, both in Italy and abroad. The menu proposal varies depending on the season, the local products and the food needs of the guests. 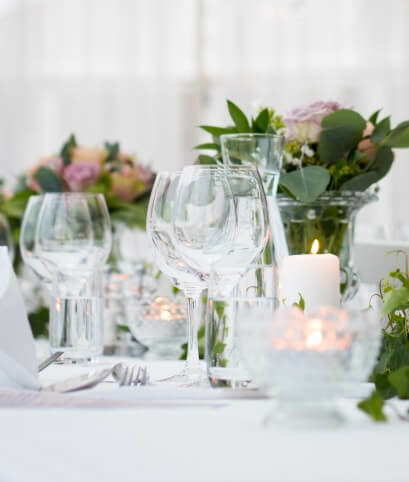 The setting and the mise en place is studied in the smallest details, with the possibility of supporting the client in the organization and management of the event to make it unique and unforgettable. The proprietary kitchen allows Bonicelli to be independent both in the realization of indoor and outdoor events. Coordination and supervision allow chefs to have excellent gastronomic performances and to amaze guests with splendid first and second courses, artisan bread, cocktails and fresh pastries. Some of our clients: Atalanta BC, ASCOM Confcommercio Bergamo, Fondazione Palazzo Moroni, Studio Bozzetto & Co.